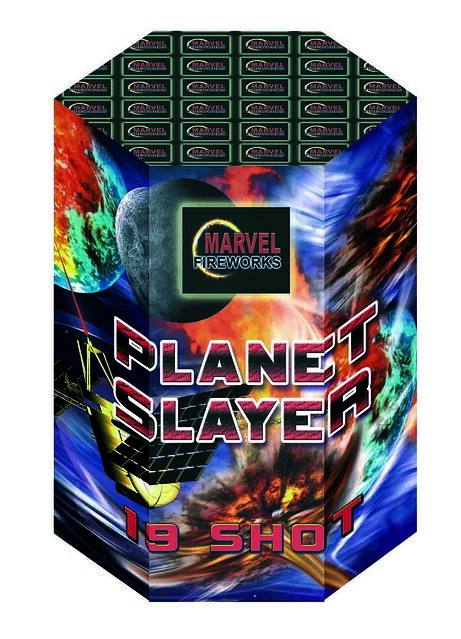 Planet Slayer 19 shot barrage by Epic Fireworks. This 19 shot 30mm barrage starts by creating planet shaped bursts of green and gold. Followed by beautiful golden horsetails and then bursts of red and green stars this firework really does deliver a planet slaying performance.